The public is welcome to the “Connecting Cops & Kids” Community Cook-Out on Saturday, July 16, from 9 a.m. to 3 p.m. at the North Myrtle Beach Park & Sports Complex, 150 Citizens Circle, Little River, SC 29566. Law enforcement professionals from more than a dozen jurisdictions all over Horry and Georgetown counties will be on hand to join the kids for fun, games and free food and drinks. The event will be held at the park’s Wild Wings Café soccer and lacrosse complex. “This event is designed to bring the community and law enforcement together to reinforce fairness, and improve public morality, honesty, good temperament and mutual respect between our young people and our fine law enforcement professionals all over this region,” said HCDP Chair Bennie Swans. 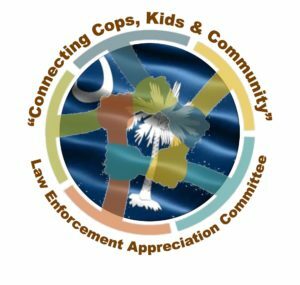 Swans is a board member of the Grand Strand Community Law Enforcement Appreciation Committee Inc. (CLEAC), sponsor of the Connecting Cops & Kids program. In true bipartisan spirit, the event’s co-chair and Swans’ fellow CLEAC board member is John Bonsignor, a founder of the South Strand Republican Club and prominent GOP activist. The event also has an honorary chairman, 15th Judicial Circuit District Solicitor Jimmy Richardson of Conway. The 15th Judicial is comprised of Horry and Georgetown counties. “We hope this groundbreaking event will develop a relationship of trust, friendship and understanding of many groups’ problems relating to crime, stress, tolerance, community involvement, counseling, police work, and interrelationships with the community,” Bonsignor said. 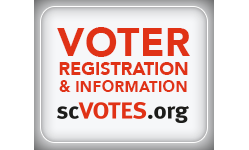 For more information, contact Bennie Swans at 843-251-2061.